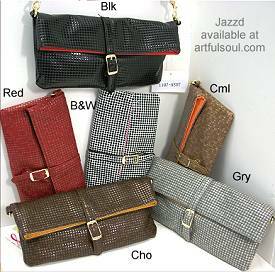 This page features clutch style handbags from the various designers offered at The Artful Soul. A clutch is characterized by its use without a strap or handle. However, many of these offer optional attachments, check the item description carefully!